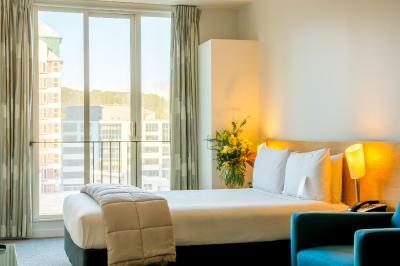 Just 5 minutes' walk from Cuba Street's bars and restaurants, Capital View Motor Inn offers self-contained apartments with views of the harbor and Wellington city. Guests enjoy free onsite parking and 300 MB of free WiFi. 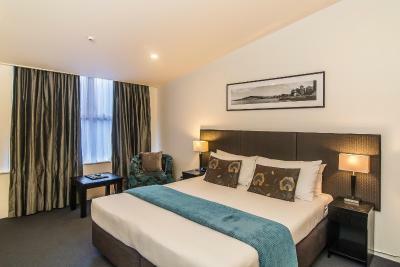 Located on the corner of Hunter Street and Lambton Quay in Wellington's CBD, these harbourside apartments each offer laundry facilities and a kitchen or kitchenette. 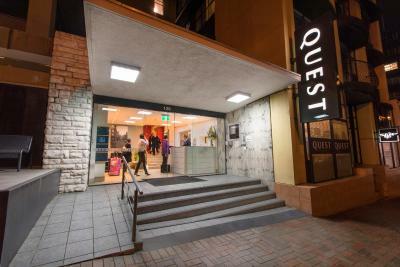 Located in the heart of the city, Quest Atrium Apartments are 600 metres from Wellington’s waterfront and a 5-minute walk from Queens Interislander Ferry Wharf. Each apartment includes cooking facilities and cable TV.